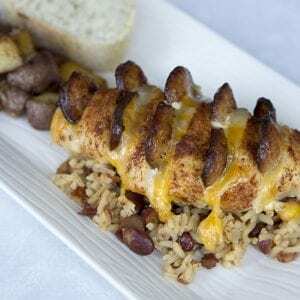 This Cajun Hasselback Chicken is loaded with my favorite New Orleans flavor! My new favorite thing to do for dinner is to make Hasselback chicken with different things and cheeses stuffed into the chicken. My family loves them and as I said before, look for more in the future. This time I paired some andouille sausage and some red beans and rice. 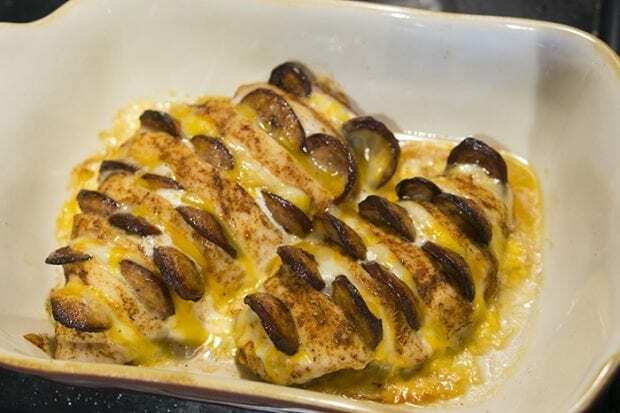 Hasselback chicken is super easy to make, all you need to do is cut the chicken into slices without cutting all the way through. 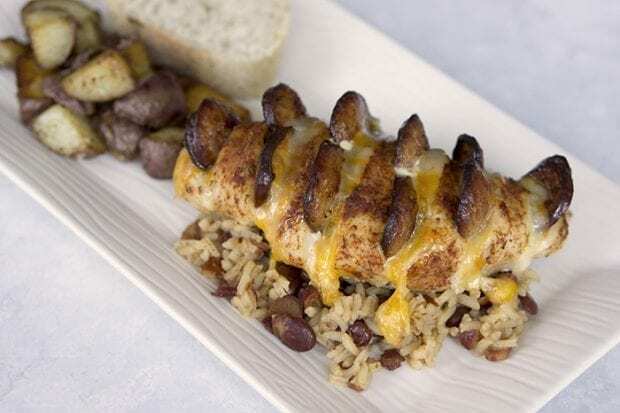 Check out the other great Hasselback chicken recipes we made. I love cajun food because it gives just the right amount of heat. Crawfish etouffee is my favorite dish and on my trip there with my husband I tried it at every restaurant in the area. 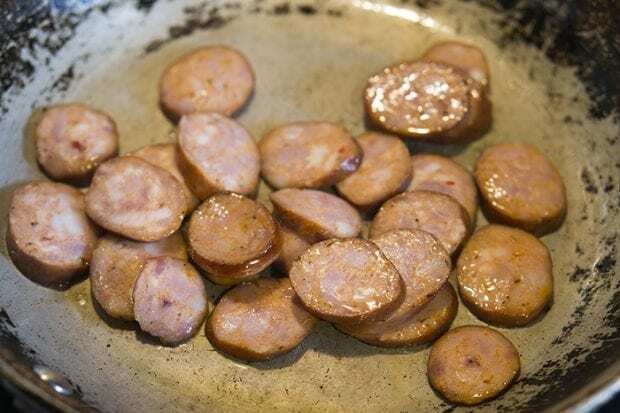 Slightly cook the andouille sausage and set aside on a paper towel to soak up any grease. 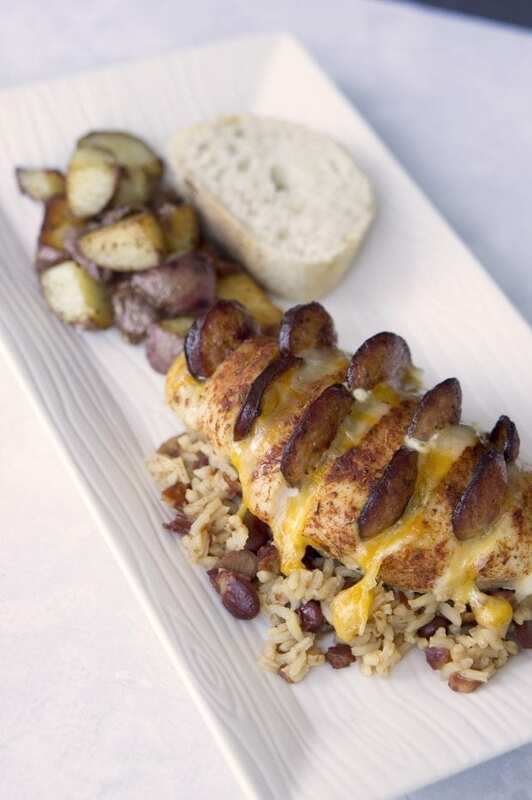 Season the chicken with your favorite Cajun or Creole seasoning. My favorite is Tony's Chachere's The Original Creole Seasoning. I covered both sides of the chicken before slicing. After you slice your chicken, place the andouille sausage and Colby jack cheese. Place in your baking dish and bake away! We went full New Orleans and made red beans and rice, new red potatoes and a slice of French bread. Everyone loved it and I've already been planning my next Hasselback chicken recipe and I think I'm leaning towards Italian. Slice and sautee andouille sausage. Set on paper towel to drain. Seasoning the chicken and then slice into the chicken without slicing all the way through. 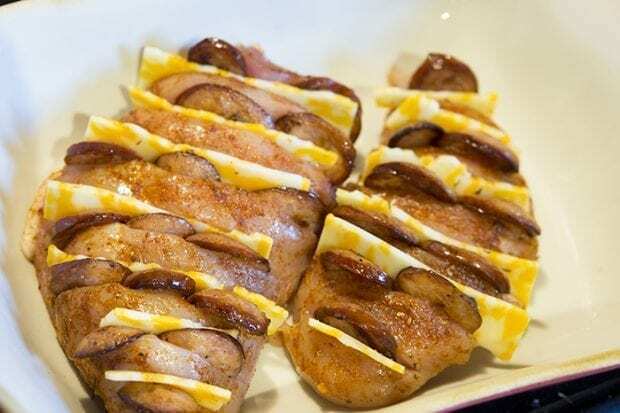 Stuff the chicken slices with andouille sausage and Colby jack cheese slices.